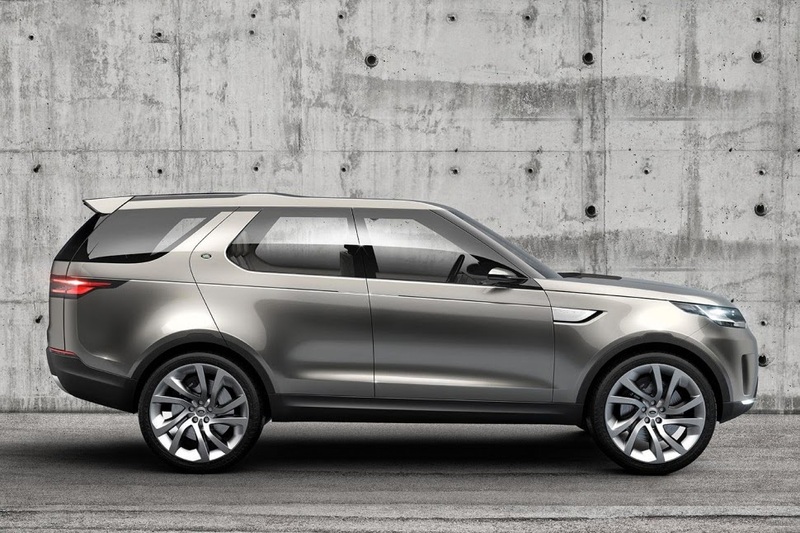 Land Rover Discovery Vision Concept has a range of sophisticated equipment, one of which is "transparent hood". By "transparent hood", the driver can see the road in front of the vehicle hood closed, as was in the front seat of the no-nosed car. 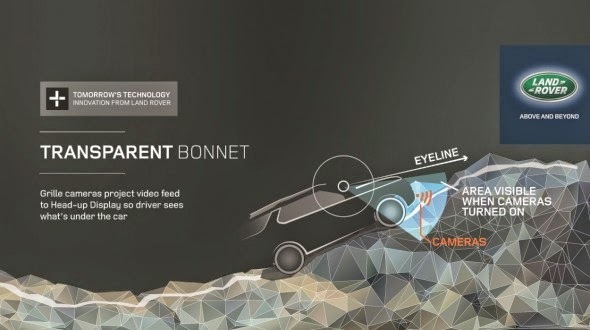 The transparent hood technologies using multiple cameras in the front grille. Picture of the machine shown below to sophisticated windshield, which could serve as a screen. And look at it under the hood and connect with the original sights on the windshield. 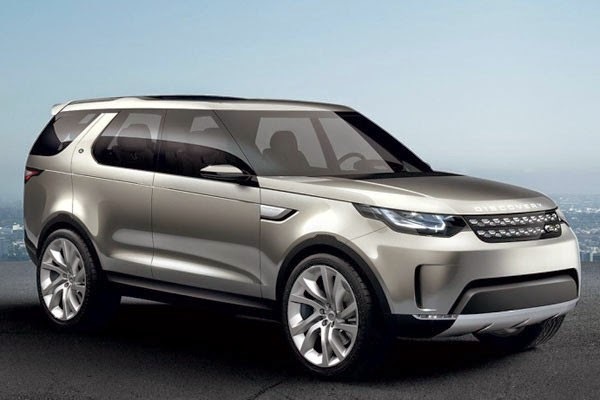 This feature is most useful when facing off-road, the driver does not need to remove the head from the side glass to the terrain looked ahead, or ask a passenger got out and gave instructions (spotter). Its windshield, side glass, rear glass, and panoramic moon roof Concept Vision Discovery using "Smart Glass". Not only serves as a touch screen on a smartphone, all that glass could turn dark or glow illuminating the interior. Panoramic moon roof it can display images like a screensaver. Screens are located in different parts of the interior, including the steering wheel, the center dashboard, as well as on the back of the front seats are intended for rear passengers. 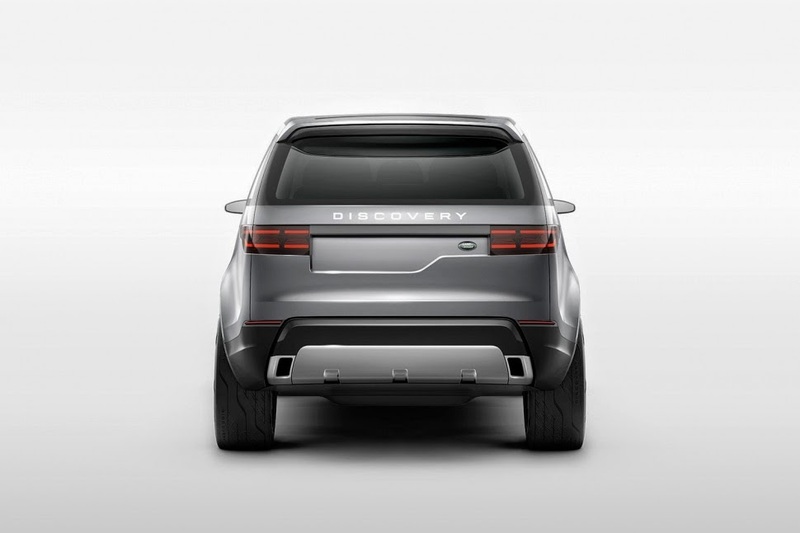 Discovery Vision consists of three rows of seats for seven passengers. The main light using a laser that illuminates the front of up to 300 feet ahead and automatically adjusts the light for vehicles coming from the opposite direction. When faced with off-road, the laser scanner in the fog lamps will perform its functions; conditions in front of the screen is scanned and displayed in HD quality. If the face of extreme off-road terrain, the driver can get out of the vehicle and then brings Terrain Response which is in the center console. 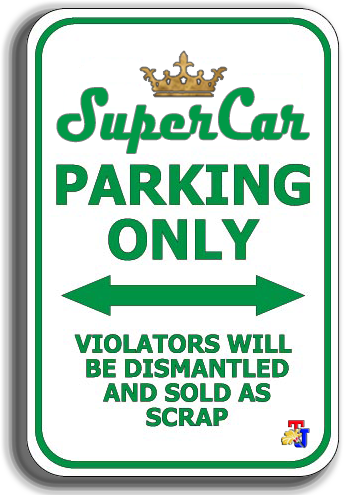 Furthermore, this car also uses Wi-Fi connectivity, the driver can control the vehicle from the outside, with a very slow rate. The system was named All-Terrain Progress Control and can use a smartphone or tablet that is already paired.